Pecorino Romano is a hard, salty, Italian cheese made, as the name implies, in or near Rome. Similarly, there's Pecorino Siciliano from Sicily, Pecorino Sardo from Sardinia, etc. 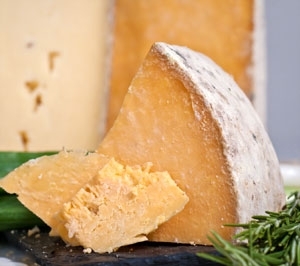 In Italy, cheese made from sheep's milk is known as pecorino. Most pecorino cheeses are aged and classified as grana and are granular, hard and sharply flavored. (There is also a soft pecorino — a ricotta — that's white and young, meaning not aged, so it’s mild in flavor.) Aged pecorinos range in color from white to pale yellow and have a sharp, pungent flavor. Pecorino Romano — which comes in large cylinders with a hard, yellow rind encasing a yellowish-white interior — is the best known of the genre. Similar to its cousin, Parmigiano Reggiano (parmesan), it's a hard, dry cheese good for grating. Like parmesan, pecorino is used mainly in cooking. Substituted in any recipe calling for parmesan, pecorino gives the end result a sharper flavor. Pecorino cheeses are generally aged up to a year. As they age they develop a brittle, hard texture, and the rind yellows. The younger the cheese, the softer and whiter it is. Pepato, a variety we've also featured in the club, is spiced with peppercorns. Most pecorinos are oily cheeses (about 45% fat) because ewes' milk contains very high amounts of butterfat — one of the reasons this cheese is so scrumptious. When your Pecorino comes to room temperature, don't be surprised if you see beads of oil on the cheese. The cheese's oils, called "butterfat tears," weep naturally and indicate the cheese is at the perfect temperature for eating. Pecorino Romano is often used grated in pasta dishes. Serve with bold red wines. For a real treat, have it for dessert, laced with your favorite honey. Sheep's milk cheeses break down into smaller molecules in the body that are much easier to digest. 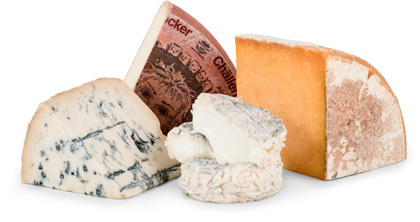 Many lactose-intolerant people find that they can enjoy sheep's milk cheeses without repercussions to their health.